Join us to celebrate the 50th anniversary of one of the most influential and loved albums of all time: Van Morrison’s Astral Weeks turns 50 this November and we’re bringing together two writers to reflect on the social and musical influences and profound musical impact of the album over the past 50 years and the wonderful Belfast musician, Donal Scullion, to play a special set from the album. Like Dickens’ great historical novel A Tale of Two Cities Morrison’s album is shaped by revolution, for Morrison it was the cultural revolution of 1968 and the two cities are Belfast, where Morrison grew up and formed Them, and Boston where he lived at the time of making the album. In Gerald Dawe’s In Another World he takes us on a trip through Belfast. Struck by the extraordinary brand of rhythm and blues that was Morrison’s brainchild, Dawe’s book is a celebration of the inspirations that underlie Morrison’s music. Silhouetted in the work is Belfast, moody and vibrant, and the formative influence of the pre-Troubles northern capital on Morrison’s musical direction. In Astral Weeks: A Secret History of 1968 Walsh reveals the wild history of the unique time in Boston that saw the recording of Astral Weeks and is also a sprawling account of the city’s interconnected countercultural sects. Walsh reflects on the origins of a masterpiece that has touched generations of listeners and influenced everyone from Bruce Springsteen to Martin Scorsese. A signing will follow the event. Tickets on sale from early September. Caldwell was born in Belfast in 1981. She is the author of three novels and several stage plays and radio dramas. Awards include the Rooney Prize for Irish Literature, the Dylan Thomas Prize, the George Devine Award for Most Promising Playwright, the BBC Stewart Parker Award, a Fiction Uncovered Award and a Major Individual Artist Award from the Arts Council of Northern Ireland. Her debut collection of short stories, Multitudes, was published by Faber in 2016, of it she has written ‘…the music of Van Morrison in general and of Astral Weeks in particular is something of a guiding spirit to my stories.’ Lucy is the editor of Being Various: New Irish Short Stories which will be published by Faber 2nd May 2019. 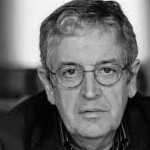 Gerald Dawe is a retired Professor of English and Fellow of Trinity College, Dublin. He has published eight collections of poetry and several volumes of essays, and he is the recipient of numerous awards and honours, including the Macaulay Fellowship in Literature. His latest poetry collection Mickey Finn’s Air, was published in 2014; Of War and War’s Alarms: Reflections on Modern Irish Writing appeared in 2015. In Another World is available from online retailers and the Irish Academic Press. 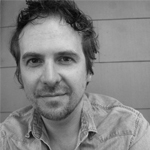 Ryan H. Walsh is a musician and journalist. His culture writing has appeared in the Boston Globe, Vice, and Boston Magazine. He was a finalist for the Missouri School of Journalism’s City and Regional Magazine Award for his feature on Van Morrison’s year in Boston, from which this book developed. 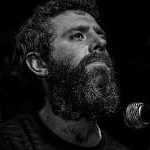 His rock band Hallelujah the Hills has won praise from Spin magazine and Pitchfork; collaborated on a song with author Jonathan Lethem; and toured the U.S. extensively over their 10-year existence. The band won a Boston Music Award for Best Rock Artist, and Walsh has twice won the award for Best Video Direction. He lives in Boston with his wife, the acclaimed singer-songwriter Marissa Nadler. Astral Weeks, a Secret History of 1968 is available from online retailers. Featuring a set in tribute to the album that blessed us with such tracks as Madam George, Cyprus Avenue and Sweet Thing, Donal Scullion makes a solo appearance celebrating East Belfast’s most famous troubadour and one of the finest rock albums ever recorded. For more about Donal and his work on Astral Weeks with his 9-piece band see his site.